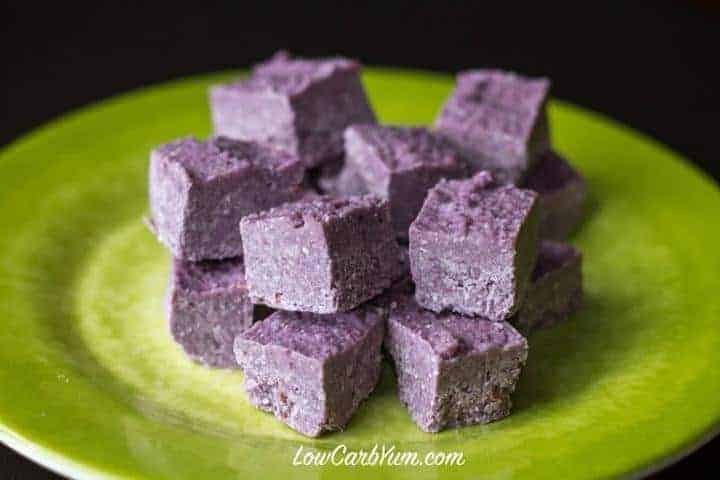 These sugar free blackberry coconut fat bombs are low carb and Paleo. Eat them between meals to stay in ketosis on a ketogenic diet during weight loss. 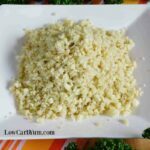 In the beginning of my low carb days, I never realized the difference between low carb high fat and low carb high protein. Like a lot of newbies, I often ate too much protein thinking it would fill me up in the absence of carbs. What I didn’t realize was that protein often turns to sugar on a low carb diet and can stall weight loss due to the gluconeogenesis process. As I learned more about the ketogenic diet, I discovered that fat was much more important than protein to satiate the appetite. I was doing it all wrong! I’ve gained a few pounds over the winter due to lack of activity so I’d like to kick start some weight loss by getting into ketosis. In the past, I never paid much attention to fat versus protein in my low carb diet nor did I monitor ketosis. 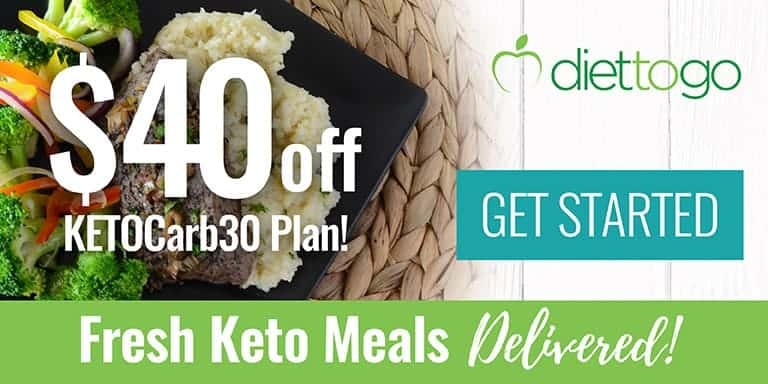 Now that I’d like to get into a weight loss stage, I’ll be checking for ketones as well as keeping my diet about 60-70% fat, 15-35% protein, and 5-15% carbs. To help keep me full between meals, I plan to have a supply of fat bombs. 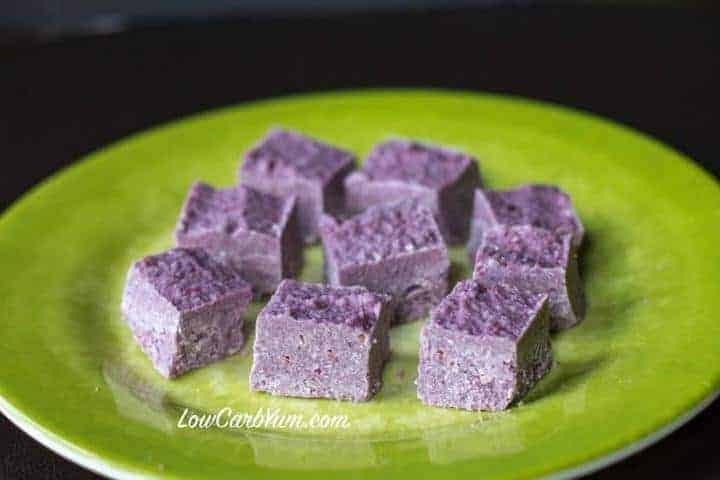 I started with these Paleo blackberry coconut fat bombs to see if they would kick me out of ketosis since fruit can do that. So far, so good. 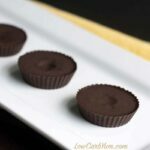 I also kept the sweetness in these fat bombs low using only a minimal amount of SweetLeaf stevia drops. You can add a bit more if you prefer them sweeter. I used homemade coconut butter made by processing unsweetened flaked coconut chips in a food processor. It took like 7-8 minutes for the coconut to turn into butter in the food processor, but it was well worth it. I haven’t found coconut butter in my local grocery store, but they do sell unsweetened coconut flakes which is the next best thing. I’m also trying to up my intake of coconut oil. It’s one of the healthiest fats around so I made sure these blackberry fat bombs were loaded with healthy coconut oil. Both the coconut oil and butter were rock hard so I melted them in a pot with the frozen berries then put everything in a small blender. 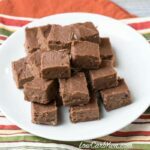 Then, similar to my dairy free chocolate coconut fudge recipe, I spread it out in a parchment paper lined 6×6-inch container. 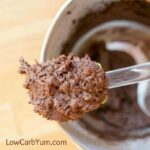 I like to keep the portions small, but the recipe could easily be doubled if you’d like to make a whole bunch of these little low carb fat bombs. These are tasty little treats to satisfy my appetite while I try to lose those extra pounds before shorts weather arrives in Southern New England. 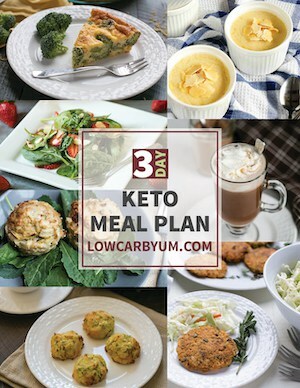 I’ll be cutting back on protein and upping my fat this spring so if you are also trying to lose weight through a low carb high fat diet, stay tuned because I’m sure to post a bunch of new LCHF recipes this spring. 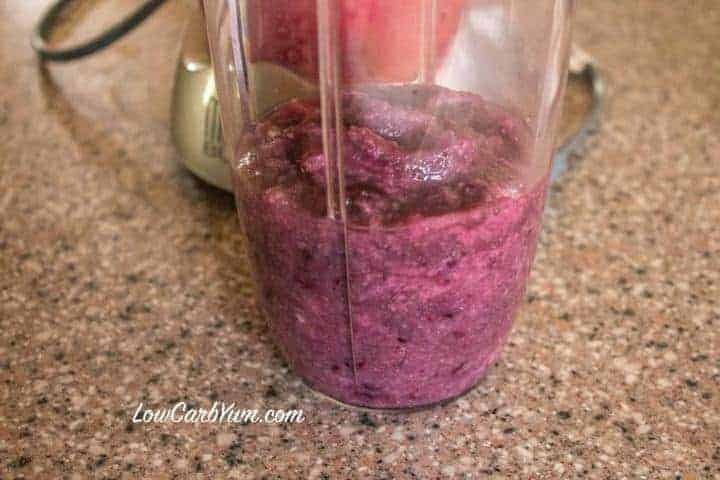 Place coconut butter, coconut oil and blackberries (if frozen) in a pot and heat over medium heat just until well combined. In a food processor or small blender, add coconut oil mix and remaining ingredients. Process until smooth. NOTE: Separation may occur if coconut oil mixture is too hot. If using fresh berries, there is no need to cook them with the coconut oil and butter. Refrigerate one hour or until mix has hardened. Remove from container and cut into squares. 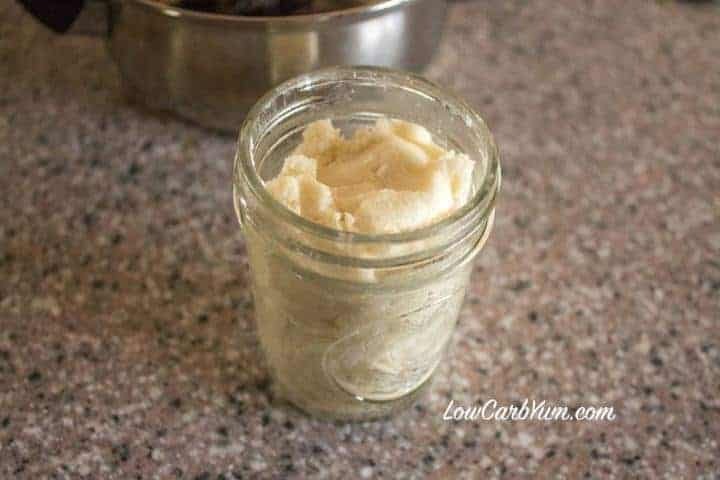 To make coconut butter, place about 2 cups unsweetened dried coconut flakes into food processor and process until butter forms (about 7-8 minutes). The amount of berries can be increased for a sweeter and more intense berry taste. These were disappointing. After taking the time to make the coconut butter and getting picture perfect little bites, I was left with something that basically just tasted like pure coconut oil with a whisper of tartness. Needs way more blackberries, but that’s obviously not keto. I’m sure cream cheese in place of the coconut butter would taste better and prevent wasting time, but it doesn’t seem worth the effort. 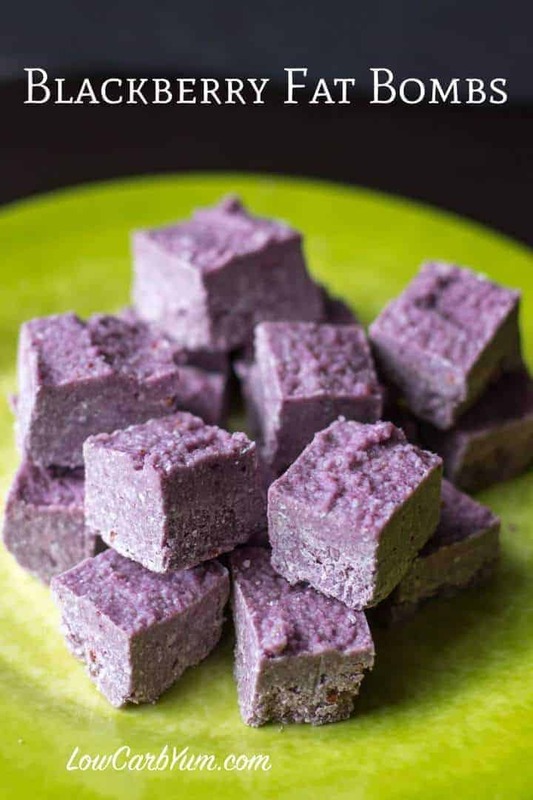 The squares should have a bit more coconut flavor with the butter as well as some blackberry flavor from the berries to help hide the oil flavor. You could add in some extract flavoring as well if you need to hide more of the coconut oil flavor. I’ve just made these and put in 3/4 cup blackberries in. Omg, they are SUPER amazing. Thanks Lisa. They’ll be a staple for me now!!! Thanks for sharing the tip of adding more berries! If you are having issues making the coconut butter just use cream cheese. It tastes much better anyway. I used cream cheese instead of coconut butter and added one teaspoon of monkfruit because stevia has a horrible aftertaste to me- It was DELICIOUS. Thanks for sharing and good to know cream cheese is a good sub for those who don’t have coconut butter. I ccan’t ever seem to make coconut butter. Tried my food processor, nutri bullet, and Vita mix. I have run them 20min or more still no butter. Any tips would be greatly appreciated. My Cuisinart 14 cup food processor has worked for me. How long will these keep in fridge? The recipe instructions say to heat the coconut butter and coconut oil then put into blender, but video appears to skip heating the ingredients. What gives? It’s a miss on the video that wasn’t caught. Do you think I could substitute stevia for agave nectar or honey? In your opinion,which of the 3 is best for you.? Stevia is the only low carb option. If you don’t care about carbs, I’d go with honey. then did rest same, but with cup of fresh delicious, Guatemalan ‘moras’… black berries. My husband loved it… I don’t like coconut !! Would change the carb rating? As a couple others mentioned , I really feel like this was a waste of money. I followed the recipe to a tee. It ended up just as it should. Picture perfect in fact! Unfortunately , it tasted horrible! The berries gave it a hint of berry taste , if not for that it would have been completely inedible! I was looking forward to this since I was a huge sweet tooth and love fruit. Overall I’m very disappointed. 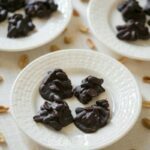 This is a keto recipe which is not meant to be sweet like regular candy. 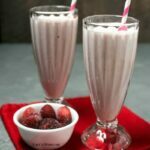 You can certainly add in more sweetener and flavor with extracts. 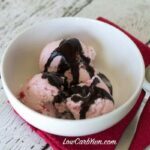 If you continue following keto, your taste for sweets should diminish. The intensity of sweets is a personal preference and I’ve been doing low carb so long that anything with a normal sweet taste makes me gag. Wondering if any other fruit can replace blackberries? 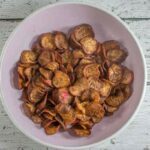 You can use any low carb berry in these. I prefer using frozen, though, as it seems to come together better. Looks and sounds good. I have lots of blackberries growing, so I’m looking for ways to use them as I get a couple cup a day. Thanks. Just be sure to add fresh blackberries after (don’t cook them) as you need the temperature to be right for everything to combine well. Hi, how large did you cut the squares? They were about 1-inch or so. 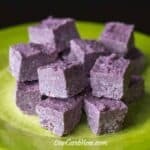 I love your blog post, BLACKBERRY COCONUT FAT BOMBS, and we would love to feature it on our website, GreenThickies.com. Would it be OK for me to use one of your photos within my post? I will of course link back to your post. Photo and link are okay to use. Please do not copy and paste the recipe. Thank you. I was really hesistant about these after having puréed everything together because the mixture seemed somewhat waxy. I ended up freezing the squares overnight and having just eaten one this morning I’m a believer! They’re delicious! 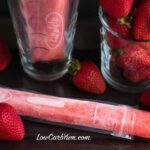 Everything melted together just right in each bite to be a really creamy and perfectly blended sweet and tart snack! Thanks for the recipe! Thanks for giving them a try! Sometimes you never know until you give it a shot. Hi, how many squares are in one serving size? The data is per square. Hi, how many squares in a serving? The data given is per square. Holy cow! These are amazing! One note, I made my own coconut butter. I put 3 cups of coconut flakes in the blender and came up with just over half a cup of butter (150g) so I just used equal parts coconut oil and adjusted the other ingredients accordingly. Glad you liked them Mike! Same thing here almost! 2 cups of coconut flakes gives only 1/2 cup of coconut butter. 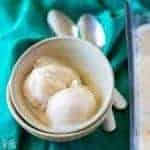 Wish I had read the comments first; I would have bought and used 4 cups of the coconut flakes and been able to make the full recipe. I ended up having to halve everything, as Mike (comment above) did. Also, I would think that making more coconut butter at once would work better in the processor, since the bottom layer would come up to the blades, instead of falling just under them, so it would keep everything moving. Lastly, I added in 2 Tbs of Chia seeds at the very end, just before putting it into the refrigerator. I think someone mentioned that they used cream cheese in place of coconut butter so that’s an option too if you aren’t dairy-free. Hi, I’ve tried so many times to make coconut butter that I’m reluctant to try it again. Takes so long! Could you use butter for it instead? Or would that change the texture? I’m allergic to almond so can’t use that either! Butter would change the taste and texture. You could try some dessicated coconut or coconut flour and coconut oil. I didn’t have enough Coconut, so I added coconut flour and oil. I think it will work fine. I ate probably two squares’ worth before I could put it in the refrigerator. Also, I used strawberries instead of blackberries. Not quite as pretty, but very tasty. Any berry works, but the blackberries do give a pretty color. I fell like I have wasted my time and money on this recipe. The oil separated and is sitting on the top. 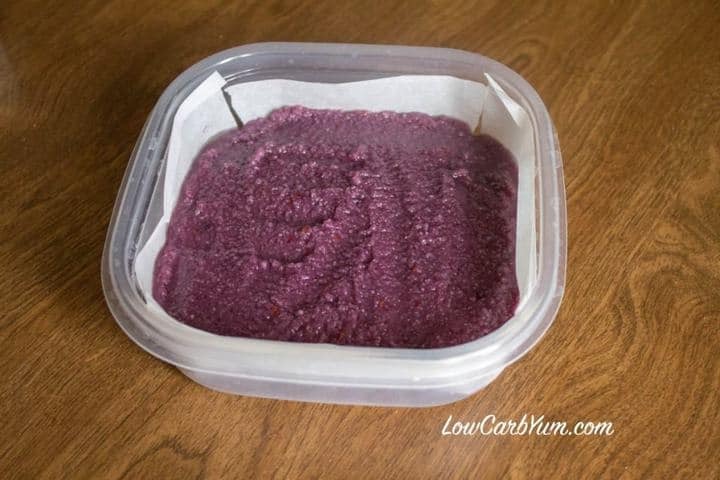 Did you use a food processor, blender, or electric mixer to combine the ingredients? It sounds like you did not blend long enough. I used a NutriBullet blender and mixed for about a minute. Blend it better…mine did the same at first. I got a pint of blackberries in my Bountiful Baskets this week, so I’m so happy to have found your recipe! I’ll be trying it out tomorrow. By the way, when I have made other fat bomb recipes, I’ve poured them into ice cube trays. Then I chill them in the fridge or freezer and pop them out when firm. This way, I know exactly how many servings there are, and every serving is pretty much uniform. Ok, I’m a little compulsive that way! Great tip on the ice cube trays! I believe I used a little over 2 cups. It was most of the bag, but I didn’t measure until after it was processed. I live in a rural area & not sure I can find the coconut flakes & don’t have a food processor. What do you suggest?? You could try all coconut oil and put in freezer.